Series | Tania A. Marshall, M.Sc. 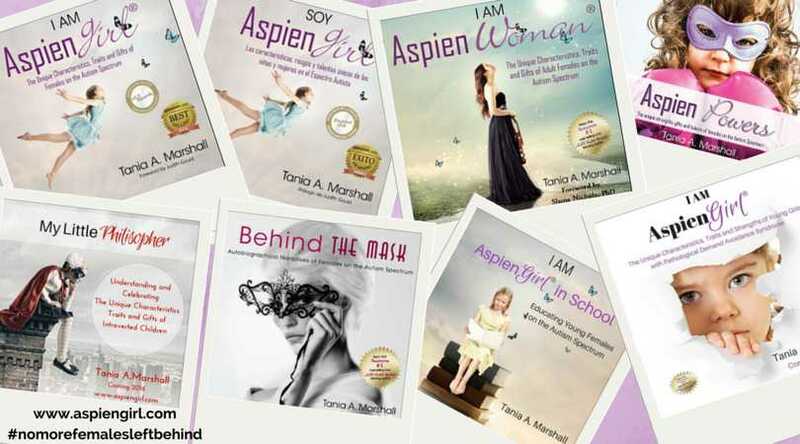 Welcome to another Aspienwoman Mentor Interview Series, where I interview female role models and mentors diagnosed with Asperger Syndrome and/or involved in the world of Autism or Asperger Syndrome. In this interview I interviewing Brandy Nightingale from the United States about her life, Asperger Syndrome, her gifts and talents and more! Brandy Nightingale is a jack of all trades and received a late diagnosis in 2010. 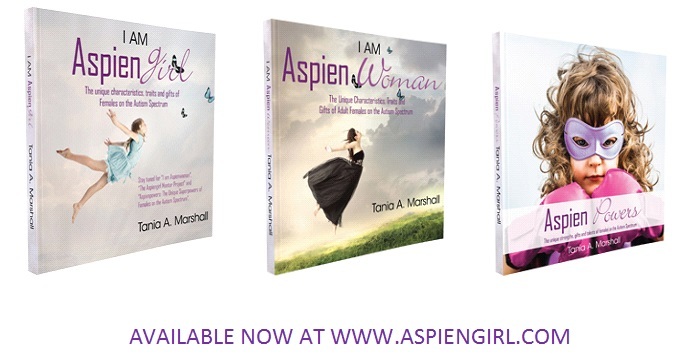 Tania: Welcome to the Aspienwoman Mentor Interview Series Brandy! It’s fantastic to have you here where we interview females on the Spectrum about their lives, their diagnosis and their unique talents. Brandy: Thank-you so much. It’s an honor to be here and to be a part of this important interview series! Tania: When did you receive your formal diagnosis of Asperger Syndrome? Brandy: I was formally diagnosed with Asperger Syndrome in November of 2010, at the age of 35. Tania: Please tell tell me about your work/career life. Brandy: Well, I was a teen model. I now work in the feature film industry as a Visual Effects Coordinator. I was a personal assistant to three celebrities before getting into VFX. I own my own local pet care business, The Peaceful Pup (thepeacefulpup.com). I am a retired stand-up comic (performed for 8 years). I’m married to an eccentric NT (2 years). I’m a survivor of childhood physical, mental, emotional & sexual abuse. I’m a survivor of school bullying. 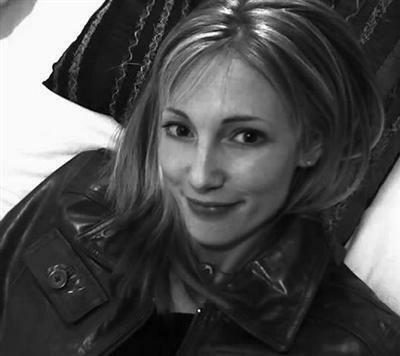 I have an active blog (http://brandynightingale.blogspot.com). Tania: Wow Brandy, that;s incredible. I’m always amazed at what females on the Spectrum can do. Tell me more about your writing please? Brandy: I just completed a personal memoir, Everything’s Hunky Dory: A Memoir. It’s a shocking yet humorous memoir titled, Everything’s Hunky Dory: A Memoir, which, from the perspective of an autistic child, explores personal stories of living with and attempting to rescue her alcoholic, drug addicted mother from self-destruction. Tania: Wow, that’s fantastic! You certainly have been and/or are involved in a number of careers and interests. You mentioned to me about also doing some advocacy work? Brandy: My newest goal is to work with girls/women on the spectrum, helping them to embrace ‘what is’, which is their autism, find their individual strengths and passions, and put those to use in order to become happy and successful. Tania: Awesome! What are your Superpowers? Brandy: Since I was a very little girl, I was able to recognize I had what I believed were superpowers. The first one I noticed was that I could hear what others couldn’t. The slightest sound of a leaf falling to the ground, a dog barking neighborhoods away, or even my mother whispering in the next room, I could hear it all. (I admit this superpower didn’t make surprises easy for others, which is fine, as I’ve never been one to like surprises.) This superpower has come in quite handy in life. In my adult years, I can hear instantly if my car isn’t functioning properly, if the toilet is broken, if there is a leak in a pipe, if a creature is lurking in the garden. My hearing superpower has turned into an incredible asset, enabling me to diagnose and repair pretty much anything. It’s also helped me to isolate particular sounds such as determining a territorial dog’s bark from a fearful dog’s bark, an honest voice from a dishonest voice. I’m able to use this ability when I work with animals and meet new people. Tania: What amazing Aspienpowers you have and I love the way you utilize them, in addition to the way you view them. What advice would you give to other Aspiens? Brandy: My take away from life and the wisdom I’d like to pass along to fellow female Aspiens is this: listen to yourself without the voices and opinions of others. Really sit with yourself and listen to what your body tells you about your needs, wants, and most of all, your passions and talents. What makes you feel giddy inside? What can you spend hours working on? What is it you do that seems to make time disappear? If your body wants to read, by all means let it read. If your body wants to write, by all means write! If your body wants to build, by all means let it build! Although we all have responsibilities such as school, work, or even families to care for, we MUST make time for our passions and develop our talents. We Aspiens are more specialists than generalists, meaning we can be really good or even genius at a topic or two, beyond what most can comprehend. Isn’t that incredible? That’s a superpower most of us share. It is people like us who create new gadgets, who have a special ability to connect with animals, who have a special ability to focus on small details of tasks for much longer than others. We are the ones who have the innate ability to solve problems for the world. More than ever, the world needs our superpowers, so let’s fine tune them and let them shine! Tania: Fantastic Brandy and I just love you positive strengths-based positive attitude, something this Interview Series and the Aspiengirl Project is all about! People have been emailing us and telling us how they love this approach. How can people follow or reach you? Tania: Brandy, thank-you so much for being a part of this fabulous movement. That of providing awareness, hope, inspiration to other females on the Autism Spectrum. Brandy: Proud to be a part of it Tania and thank-you for asking me to be a part of this Project, along with some other pretty cool Aspiens! Brandy Nightingale was diagnosed with Asperger Syndrome in 2010 at the age of thirty-five. 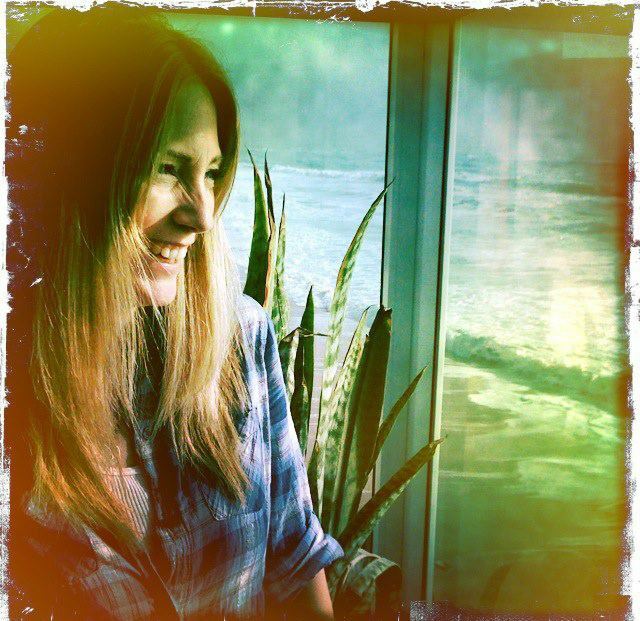 An entrepreneur, visual effects coordinator on feature films, retired stand-up comedian, and writer, she resides in beautiful Ojai, California with her husband, three rescued dogs, and two happy hens. 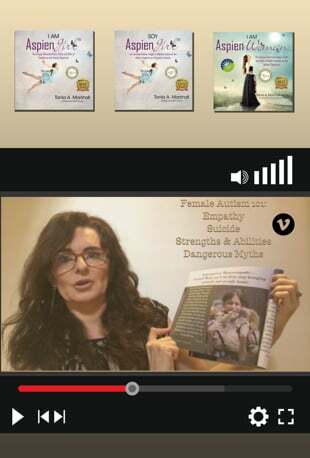 To learn more about female Autism/Asperger Syndrome, check out the Aspiengirl book series at http://www.aspiengirl.com where some of these mentors are included in the Mentor section! Tania Marshall©. 2013-2014. AspienWoman Interview Mentor Series. All rights reserved. Thank you.